I had a baby with Down syndrome, and this was the hardest part. I was 21 years old and expecting my first child. It was 1970, the days before scans and tests for any anomalies in pregnancy. I attended all my anti natal checks, and always left with a strange feeling that although I was pregnant, something about my pregnancy was not the same as other expectant mums. On the 16th May, I had to get up at about 5 in the morning to use the bathroom. I realised that I had been having tummy pains for a few hours, and although they were mild I knew they were early contractions. I went back to bed for a couple of hours only to be awakened to regular contractions, which progressed on and off for most of the day. I finally went to hospital that same evening .The pains stopped but I was kept in and on the following morning I started full blown labour. After many hours I finally gave birth. The second my daughter was born she was whisked away because they said that as she had taken so long to arrive, she was very cold and had to be incubated to warm her. The date was Monday 17th May 1971, and she arrived at 3.55 in the afternoon. My Mum arrived that evening and was looking forward to seeing her grandaughter – but we were told that no one would be allowed to see her as she was in an incubator and had to be kept warm. I was not allowed any contact with her that night at all. I remember being so elated that I had a little girl and went to sleep with a smile on my face. The following morning the nightmare began. My baby was brought in to me so I could breast feed her, but it proved impossible as she could not latch on at all. A nurse came round to supposedly help, so she came to my bed and proceeded to roughly try to get my baby to feed. She made her cry and I was not far behind the tears myself. Then the ward rounds started and a young male doctor came round and proceeded to inform me that I would not be allowed to go home as planned as there was a doctor coming from another hospital to see me that evening. I asked why, and was quickly told it was not their job to say anything and that a specialist doctor would be there at 7.30 that night. 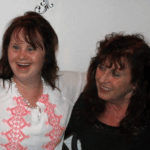 Listen: Mia Freedman speaks to Vanessa Cranfield about what happens when your daughter with Down syndrome grows up. Post continues after audio. I was left on the main ward with no visitors allowed until the evening – these were the longest loneliest hours I had ever known. The specialist was late by at least an hour and had to come from another hospital a distance away to see us. That was it, before he said that a blood test had to be done and it would take a week or so to get the results. The road ahead was very hard and I was continually told that this sort of child did not happen to young women of my age, it only happened to older mothers. I was in shock and did not have a clue what the future held, all I could see in my mind was a child being taken along with a stupid hair cut, long socks and frumpy clothes (sadly this is how they were usually dressed). The next week I was in a daze and finally went to the hospital to be given the results. I kept thinking that they had had it all wrong and my baby would be OK. In those days, babies with this condition were often kept away from family members and they were often seen as a child to be ashamed of. Even my husband’s family regarded her as a shameful baby. 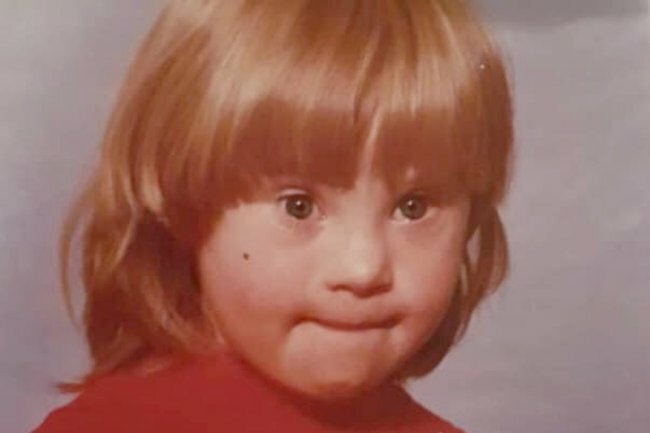 Time passed and she grew into a toddler who had at the time the record for the youngest child with Down syndrome to walk (she was 18 months old). Nowadays, that is quite normal but back then I was told by a doctor that she may never walk, and if she did it may be when she was five or six years old. As she got older she became a nightmare and would escape from any window or door and be off. She also loved to visit the bathroom of any place we visited and proceed to lock herself in. She could move quicker than the wind, and gave me many a grey hair. There was a time when I feared every day and could not see her ever quietening down, but of course she did eventually. My daughter Maryanne went to a special school until she was 18 years old (there was no question then that she could attend main stream school). At the age of 19 she went to a local training centre, and loved every minute there. She worked in the kitchen and helped provide the main meal for the clients there. One day Maryanne came home with a silly lovely grin on her face and asked me if she could bring a young man home for tea. He also went to the centre, and was 13 years older than her. Maryanne and her partner Tommy. Image supplied. The day arrived and I went to pick up this young man called Tommy. 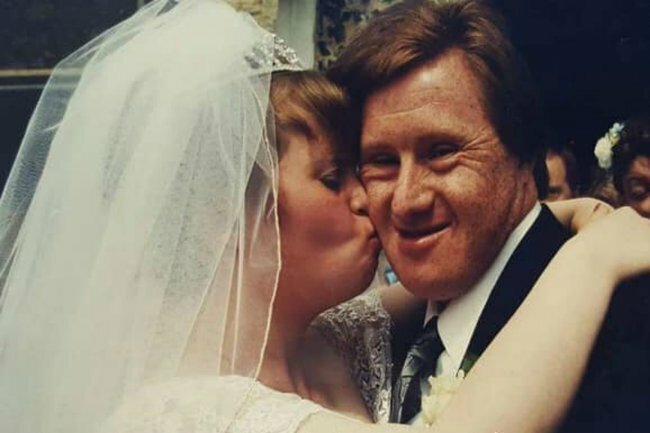 He lived in a shared house with two other people with special needs and had carers who helped them. Tommy had been in care since he was 13 as both his parents had died. He was an only child and did not know any other family members. The minute I saw them together I knew that something was happening. They were quite simply growing very, very fond of one another. As she was growing up my one wish for her was that she would find someone to love, and here I was watching it blossom. One day she burst into my kitchen to show me a ring that Tommy had brought for her - he had asked her to marry him. I took their love seriously and took them both to a jewellers so they could choose their engagement rings. They were engaged for four years and got to know one another very well over this time. Three years into their engagement, we started planning their wedding. Maryanne&apos;s Aunty was an incredible dressmaker and we decided on her dress, which was utterly beautiful and Tommy had his suit made. In between all this the complaints started rolling in. Believe it or not, they were from others parents who were shocked that I would support them all the way. I did not see why they could not marry and live as man and wife as long as they were supported. The wedding day arrived, and the house was so busy with bridesmaids (all her friends from the centre). Tommy&apos;s best man was his friend Peter, also from the centre. Maryanne and Tommy&apos;s wedding day. Image supplied. My Maryanne could not wait to walk down the aisle to her Tommy and it was my utmost honour to walk her down the aisle. In fact, I had to keep tugging her gently back so she would walk, not run. When the wedding vows were finished, and it was time to leave the church, I had their favourite track played from the film Dirty Dancing - &apos;I had the time of my life&apos;. I had no idea they had been rehearsing this until they started dancing down the aisle, such a magical unplanned moment. They danced the day and night away and I had booked the honeymoon suite at our local top hotel. Poor Tommy tried to get Maryanne&apos;s suspenders off so she could have a bath (which they both needed as they had danced for hours) and we were all in hysterics as I had to go far above the duty of newly made mother-in-law and help to remove her stockings. We still laugh about it to this day. For the first seven years of their marriage they lived with me and every evening I would show them how to cook simple things. Then a flat became available next door, and this became their first home together. I have no regrets whatsoever that I helped them achieve their dream of being married. 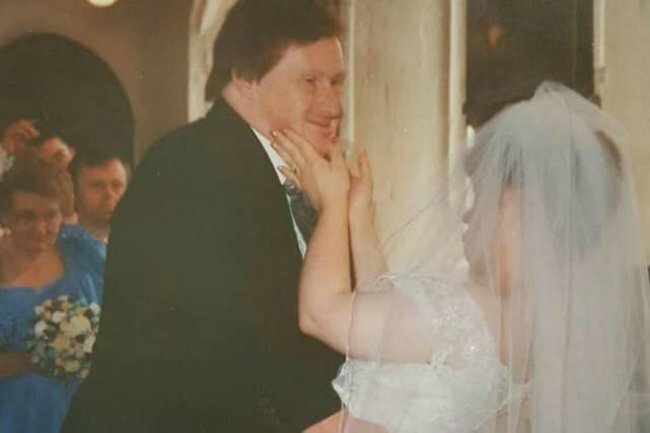 Their 24 years of marriage and 29 years together has proved to the people who thought I was crazy that with support, their love has conquered all. The happy couple&apos;s wedding day. Image supplied. Tommy was diagnosed with Alzheimer&apos;s disease a few years ago, and Maryanne has taken over doing many things for him. I could not in all honesty say it has been an easy ride and they have their rows like anyone else, but above all they love one another deeply. We have not told Maryanne too much about Tommy&apos;s illness, she just knows he is getting older and slower. We have to take each day as it comes. Maryanne&apos;s brother was killed when she was 12 and she can only deal with certain things in little doses, so each day comes with blessings and difficulties which are dealt with accordingly. I love Tommy as my own and feel blessed in many ways for the love and honesty they have shown to many people. They are a testimony that with help their marriage has proved that it is possible to fulfil their dreams. 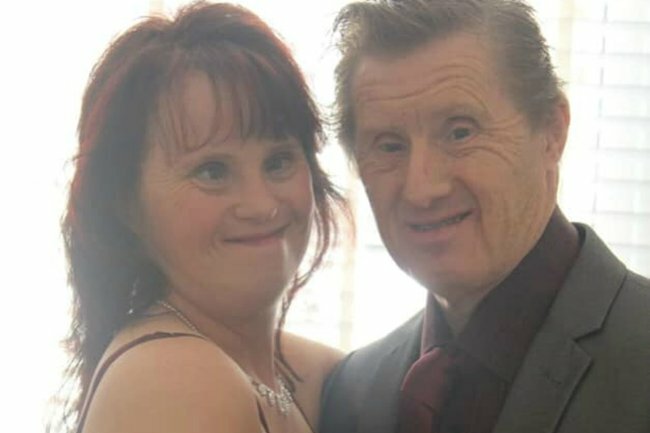 This post first appeared on Maryanne and Tommy&apos;s Facebook page, and was shared by the Positive about Down syndrome Facebook page, and was republished here will full permission. You can read more at Positive about Down syndrome.